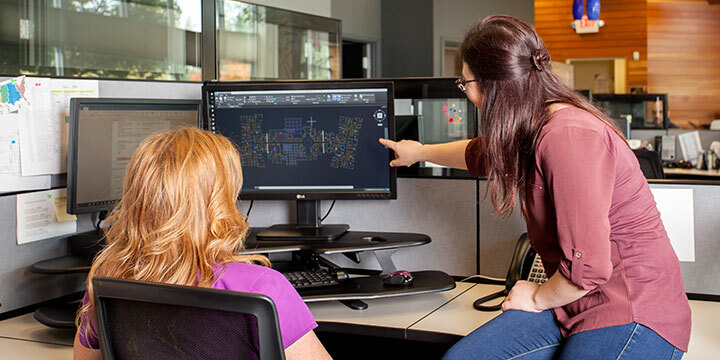 Lenity Architecture offers full planning, architectural design, mechanical + electrical engineering, and management services— all under one roof. We employ nearly 50 talented and dedicated individuals ensuring all aspects of the project are vetted and the process is streamlined. 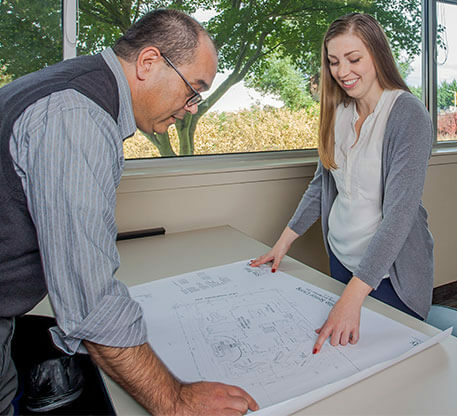 Our team consists of project architects and interns, mechanical/electrical engineers, designers, landscape architect, drafters, land use and permit specialists, construction administrators and administrative support staff. Structural and Civil Engineering services are just a phone call away to assist with document coordination and project delivery. Such diversity in our organization allows us to form a dedicated team consisting of a project architect / designer, and project engineer to lead all efforts, all while having the assistance of a highly-proficient support staff to each project. With over 35 years of collective experience, we can say with confidence there’s rarely a detail we haven’t met. 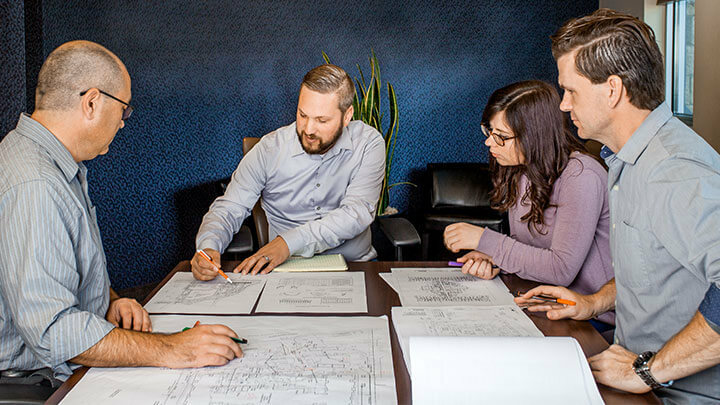 Our breadth and depth of experience enables our team to approach each project with overarching principals that work to reduce costs, stay on schedule and address potential problems before they happen. With comprehensive understanding of government agency approvals and decision-making processes, our firm has been able to design and obtain approvals for over $7 billion worth of construction projects. We are most comfortable operating with a high degree of professional responsibility and are willing and able to assist on any effort – large or small – in any capacity. Typical scope can range from simple details for small alterations and repairs on existing buildings to full design and documentation services for large new construction, along with numerous other areas of specialty in between. During the early planning stages, we work together thinking through how the buildings will be used. We put ourselves in the place of the user– how will the seniors in a retirement community interact with the facility and landscape design? What design components help to engage students in learning and what can make the faculty’s job easier? Will the medical office design make work flow more efficient while helping the patient feel secure? How to wisely blend modern conveniences with historical architectural details? Will the design of a retail building warmly invite customers in and speak to the business’ brand? Every project also has its own unique set of challenges, which is why caring for our clients means our team is easily accessible and an advocate throughout the process. We work together with all project consultants to communicate client expectations, project requirements and timelines. Along each project milestone, we hold meetings and check-ins to maintain a clear and current assessment of the project. Our team consists of distinctive different experts who work hand-in-hand with each other as the project moves along in the design process. To us, caring for our clients means looking out for their bottom line, working quickly and accurately, and always seeking opportunities to make the experience seamless and fun. We are all in this together and that philosophy yields relationships built on unshakable trust, respect and mutual enthusiasm for our next project together.